Sasha Banks and Bayley reportedly received late notice that they would be dropping the WWE Women’s Tag Team Championship at WrestleMania 35. According to Dave Meltzer in the Wrestling Observer Newsletter, Banks and Bayley were not told until the day of WrestleMania that The IIconics were beating them for the titles in a Fatal 4-Way Match that also included the teams of Beth Phoenix and Natalya and Nia Jax and Tamina. At the same time, Banks and Bayley were also told they were being split up. As part of the 2019 WWE Superstar Shake-up, Bayley joined SmackDown LIVE. She revealed her intention to pursue the SmackDown Women’s Championship, suggesting that The Boss ‘n’ Hug Connection is no more. “I don’t know if they were told about being put on different brands, because WWE keeps that stuff secret from the talent (there may be exceptions for bigger names, but for the most part nobody knows) but they were aware they weren’t going to team up any longer,” Meltzer wrote. 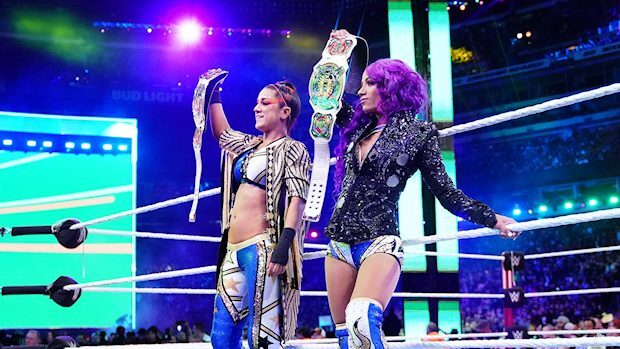 Banks attempted to quit WWE after feeling “blindsided” by the decision to take the titles off The Boss ‘n’ Hug Connection. As a result, WWE officials gave Banks a few weeks off from the road so that she can better decide what to do next. 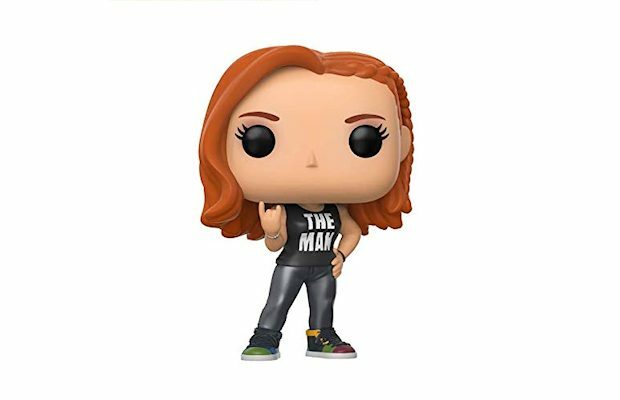 They’re hoping she’ll be back soon as she is tentatively booked for the Money in the Bank pay-per-view on Sunday, May 19. If and when Banks does return, she will remain on Raw. Banks was scheduled for Raw the night after WrestleMania as WWE announced a few hours before the show that The Boss ‘n’ Hug Connection would face Alexa Bliss in a Handicap Match. Bayley and Bliss instead faced off in a singles match, which Bliss easily won. Banks was not booked for Raw or SmackDown LIVE this week since she was given time off from the road.